(JACKSON, Miss.) — Chancellor J. Ligon Duncan III announced the appointment of two vice presidents at Reformed Theological Seminary, installing Phillip Holmes as vice president for institutional communications and David Veldkamp as vice president for enrollment management. Holmes previously served as director of marketing and communications at RTS. 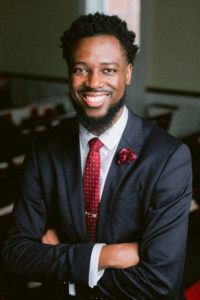 He grew to know and love RTS during his time as a student at Belhaven University where he was actively involved in Reformed University Fellowship. He was mentored by RTS alumni Rev. Chad Smith, former RUF campus minister at Belhaven who now serves as a PCA pastor in Asheville, North Carolina and Rev. Elbert McGowan, former RUF campus minister at Jackson State who currently serves at Redeemer Church in Jackson, MS. He became acquainted with Dr. Duncan, who was serving as senior minister at First Presbyterian Church, Jackson. Holmes, who is currently completing his M.A. at RTS, says RTS has significantly impacted his theological and spiritual formation through the classroom and RTS alumni. He is also encouraged by the work that’s being done under Dr. Duncan’s leadership. 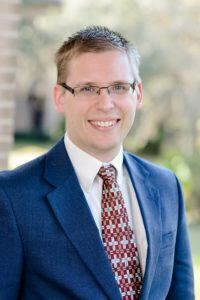 Veldkamp is an alumnus, having earned the M.Div. degree in 2017. Prior to serving as vice president of administration at RTS Orlando, he served as director of admissions for the campus and brings more than a decade of experience working in admissions and higher education at various Christian institutions. Veldkamp takes joy in hearing how Christ has been pleased to use RTS alumni to build and shepherd his church. Holmes will oversee communications, marketing, and branding for all campuses and continue his role as editor in chief of Ministry & Leadership, the institutional magazine. Veldkamp will oversee recruitment, financial aid, and retention efforts for all campuses. Holmes and Veldkamp will be two of three institutional vice presidents at Reformed Theological Seminary, joining Matthew Bryant, senior vice president of development.